Relational-Cultural Therapy (RCT) is developed to accurately address the relational experiences of persons in de-valued cultural groups. 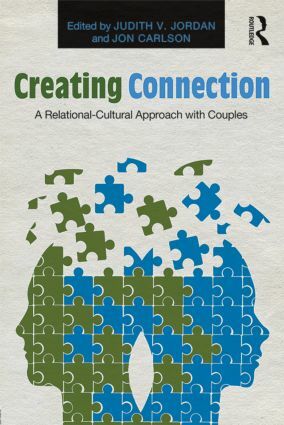 As a model, it is ideal for work with couples: it encourages active participation in relationships, fosters the well-being of everyone involved, and acknowledges that we grow through and toward relationships throughout the lifespan. Part and parcel with relationships is the knowledge that, whether intentionally or not, we fail each other, misunderstand each other, and hurt each other, causing an oftentimes enduring disconnect. Judith V. Jordan, PhD, ABPP in Clinical Psychology, is the Director of the Jean Baker Miller Training Institute at the Wellesley Centers for Women, and Assistant Professor of Psychology at Harvard Medical School. She is a founding scholar of Relational-Cultural Theory. Jon Carlson, PsyD, EdD, ABPP, is Distinguished Professor in the Division of Psychology and Counseling at Governors State University, and a psychologist at the Wellness Clinic in Lake Geneva, Wisconsin.